Long-term HIV survivor Janet Coleman tested positive in 1990 – five years before the first effective treatments for HIV infection were introduced. Janet reached a turning point in 1998, when she saw fliers for the Maitri Adult Day Program in Yonkers, New York, for people with HIV/AIDS. Janet’s advice to other people with HIV? Through it all, Janet has kept her attitude positive with her spirituality, meditation, and alternative treatments like acupuncture and acupressure. 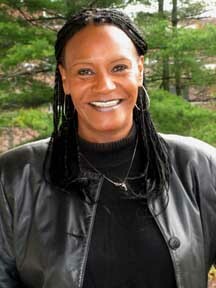 Janet noted that she has recently been on cable TV and radio in the Westchester area, talking about HIV.